Actor-comedian Joel McHale is being sued by a dwarf couple in New Jersey. They are not “Fertile Little Tattooed Pageant Parents Who Enjoy Baking." Cara and Gibson Reynolds have filed a defamation lawsuit against NBC Universal's E! Entertainment Channel, its owner Comcast, the host of “The Soup” Joel McHale, after a segment on the show used an Associated Press photo of the couple while spoofing reality television programs’ popular focus on dwarfs, child pageants, big families, cakes and tattoos, according to the lawsuit obtained by NBC Philadelphia. This site and NBC Universal are both owned by Comcast. The AP photo of the Reynolds used on “The Soup” came from a 2006 article in which the couple spoke to an Associated Press reporter about the difficulties people with genetic conditions can have trying to conceive. The article was written after the Reynolds first daughter died, and included a photo of the couple holding hands on their front porch in Collingswood, according to the suit. “The Soup” used the AP photo in 2009 in a comedy segment in which they determined that the perfect reality show must have all the elements of the most popular subject matters in the genre. 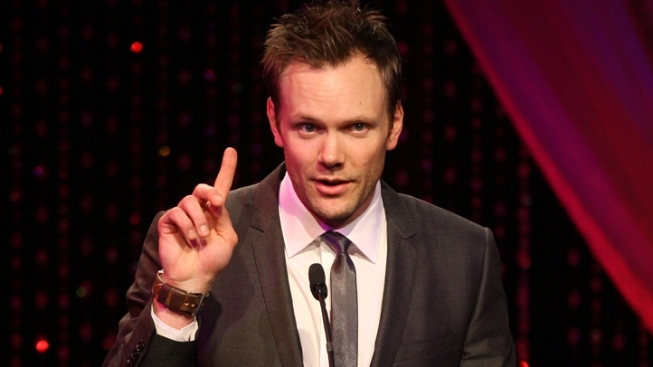 Host Joel McHale, who also stars in the NBC show "Community," delivered the joke by calling its "perfect" reality show “Fertile Little Tattooed Pageant Parents Who Enjoy Baking," while showing the AP photo of the Reynolds wearing sashes and tattoos with dozens of kids also with pageant sashes and tattoos superimposed on the photo, the lawsuit says. "Sure, we all like shows about happy dwarves, good cooking, bad tattoos and families that can't stop procreating, but who has time to watch all the programming? "...Now, thanks to the clever folks at TLC, your schedule just opened up big-time. The channel -- which is thankfully still devoted to "learning" -- has slammed all that crap into one big hot mess called 'Fertile Little Tattooed Pageant Parents Who Enjoy Baking.'" The Reynolds claim the altered image caused much "physical and emotional harm," according to the lawsuit.